Starting an online business is one of the most intelligent and quickest ways women in today’s world can make money. There are many reasons why women should consider working online. Women are always busy and continually on the go and under much pressure to be SuperMom, SuperWorker, SuperWife, etc. that it is hard to juggle everything. In order to have time to be there for the little ones and be able to take time off for family appointments and obligatory events, it makes sense why women should consider an occupation in which they can work from home. I have provided you with ten reasons below, but I am certain you may think of even more while reading this article. At the end, please feel free to comment on other reasons why you feel women could benefit from an at home business. I would love to hear from men as well. Have you ever dreamed about owning your business and still have the ability to stay home and care for your children? You need not a brick-and-mortar company to initiate a successful business. Many successful businesses are run entirely online. Maintaining an internet business can save you literally thousands of dollars in expenses that would otherwise be spent on a brick-and-mortar type of business. You would not have to spend money paying for rent on a commercial location, because your home office is your company location. You would no longer need to spend money commuting back and forth to a job. This can include parking, gas, mileage, auto maintenance and repairs. Plus, you can reach a wider clientele-base because you are not limited to only one local area. Your audience is everyone who has access to the Internet which is billions of people. Below I have listed ten reasons for starting an online business and one reason why you should not. Some of my reasons may overlap and as mentioned earlier, you can probably think of even more reasons. Please be sure to share your ideas in the comment section below. You would think with the steps toward gender equality our society has made in the last several decades, that women would be making the same as their male counterparts. The truth is that many women are still being paid half of what they are worth. By following the right educational venue, combined with hard work plus perseverance, you can achieve great results. Check out my #1 recommendation on how to achieve that. If you were to remain home and earn a living from the comfort of your home office, you can work in your comfy clothes and bunny sleepers as I am wearing at this moment as I write this article. No longer would you have to purchase expensive corporate attire. This alone can save you literally thousands of dollars on your wardrobe. I remember when I was working in the corporate world, I spent an unbelievable amount of money on one single business suit. I literally spent three-fourths of my first paycheck I ever earned working in the corporate world on one nice business suit. Think all the dry cleaning bills you will save on. Even if you find great clothing sales on nice business clothes, many of them are labelled dry clean only which means you will pay more for your dry cleaning than what the actual clothing item is worth. No longer will you have to pay for lunches at various delis and restaurants because you were unable to cook your own meal. By staying at home, you can cook your own meals and literally save hundreds. Once I started working at home, I started preparing my own meals and I actually lost weight because I had more control over what I was eating and prepared healthy meals instead of a burger and fries at the local fast food restaurant chain around the corner from where I worked. For tips on how to make money online through losing weight, check out my article here. There are free apps for that. As mentioned above, you will save money on gas and/or public transportation costs, not to mention auto repair costs. When I was working and living in a cold weather environment, my car took such a beating that I had to pay an auto mechanic $2,300 dollars to have my transmission rebuilt. Not that I work from home, I no longer have those hefty repair bills for my vehicle. If you have not thought about it yet already, another important consideration is to reduce your stress level. Women are typically much more stressed than men. I am not saying that men do not have stress, because they do, but women approach situations differently and for different reasons. A recent survey by the American Psychological Association indicated that nearly half of the women surveyed indicated their stress level has increased over the past five years. Women typically have more responsibilities than men, not that men do not have responsibilities. Notice how delicate I am being for you men out there reading this! Please do not take offensive to this. However, women typically have the responsibility to get the children to school on time as well as pick them up, take them to athletic events and practices, music and dance recitals, and whatever else your kids are involved with. This does not include helping with homework and preparing dinner for the family as well as other household chores. If you are working outside the home, you have office responsibilities on top of everything else mentioned in the paragraph above. Are you also a single mother? Many of us are, myself included. If you are then I know you are already aware of this, but your responsibility and stress levels are ever more increased. Owning an online business can reduce much of that stress. If you are a woman, then you are probably extremely busy being a mother, wife and community member that you probably have forgotten to have something which reflects your inner self. All too often, our identities become meshed with that of others we live with. We are so-and-so’s wife or so-and-so’s mother. We lose our own identity. As a result, we have low levels of self-worth. If you were to have your own business, you would have something that no one can lay claim to. If you were to start your own online business, your feelings of self-worth will improve. In addition to saying you are a wife and mother, you can also state, “I am a blogger.” By having something that is unique to you and your abilities, you will find a more complete you. Going off of reason number four, another reason for you to start an internet business is to be a role model for your children, especially your daughters. Having your own business tells your kids that Moms can be successful and make money too and that you too are just as important when it comes to paying the bills as Dads are. Your daughters will observe and discover that Moms can own businesses too and view you as having a purpose other than cleaning the house and having babies. You will inspire your daughters to want to become more as they grow up. You will also be teaching your sons about gender equality. If you do your research, you may discover that there are large tax breaks for women who are running a business at home. You can take tax deductions, for instance, on the purchase of a PC and/or laptop. If you use your cell phone for business, you can get tax deductions for the cost and monthly cell phone bills. The Office of Women’s Business Ownership of the U.S. Small Business Administration exists to “empower women entrepreneurs through advocacy, outreach, education and support.” There are numerous resources through the SBA which can give you the guidance and motivation you need to thoroughly consider starting a new business. There are also loans and grants available through the SBA and some of them are specifically for women. As a woman, we generally have more knowledge about merchandise which people are often surfing the web for. As you can probably guess, more and more people are doing all of their shopping online and women typically have better shopping ideas than men. We generally have better fashion sense than men and know what outfits look better for certain occasions to include many items from clothing to shoes and accessories to cosmetics and perfumes. As you can probably guess, new businesses frequently engage community involvement. The communities which we reside in blossom more by having started businesses. Women who start online businesses can encourage other women in the community to do the same and pay it forward to other women. Communities that work together become stronger. We can never seek achievement for ourselves and forget about prosperity and progress within our communities. Our ambitions must be broad enough to include the needs and aspirations of others, not just for their sake but for out sake as well. I saved this reason for number ten not because it was the least important, but because I wanted to save the best for last. Be having your own online business, you will have much more flexibility allowing you to stay home with your children. With this kind of flexibility, you will have an easier time scheduling around other family conflicts, such as husband’s work schedule, medical appointments for family members, necessary travel arrangements to visit family, etc. You will no longer have to plead with your employer to take time off for family matters. I know with every traditional job I held, I was always made to feel guilty whenever I needed to take off for family matters. As mentioned earlier in this article, I have one reason why you should NOT start an online business. If you decide to start an online business, do it for yourself and not to please other people. This is something you should do because it feels right in your heart and you have a passion for pursuing this. If you start a business just to make others happy, because so often, us women do things for the sole reason to please others, you will not succeed. Do not do it because someone pressured you. Do it because you want to make this work. Please remember that running a business is not for everyone, but if you want to follow your dreams, work at home, and make a good income, becoming an online entrepreneur could be your answer to getting started now. Thank you for visiting this website and reading my article today. Please leave your feedback below along with any questions or comments and I will respond shortly. Great article Steph. It’s great to see women involved with creating their own online business and you’re a role model for more women getting on board. 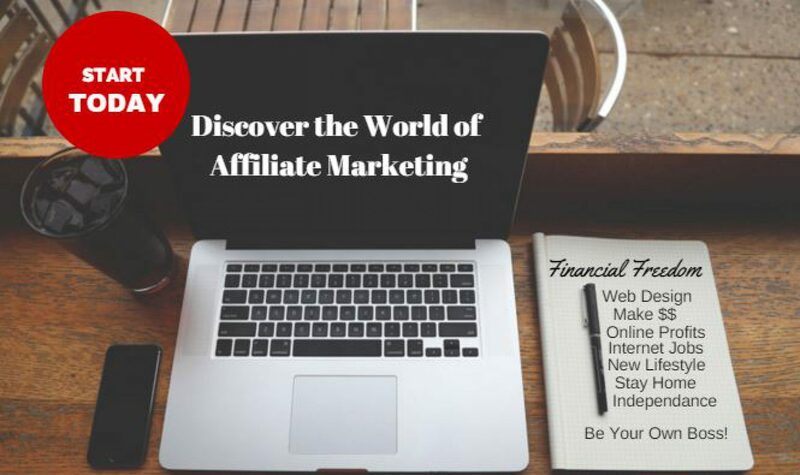 As you pointed out in your article there are many reasons why anyone would want to start their own online business and Wealthy Affiliate is a great opportunity to learn how to make that dream come true. Wealthy Affiliate (WA) not only offers great training, but you get awesome support from other members as well as the owners. Another benefit being part of WA is developing friendships around the world. I have really enjoyed connecting with people from every country who have the same goal – making money online. Sometimes we chat by pm, email and even Skype about affiliate marketing. Wishing you all the success in the world, Steph. If someone is truly interested in making money online I recommend signing up with Wealthy Affiliate. You can get a free membership to start which gives you lots of training and you get to meet some awesome people along the way. Love your website! So much awesome info here! I totally agree with your article and that’s the reason why started looking into online business. I currently work at hotel but I don’t see it as my career, more like a phase in between until I get my own business running. Thank you Ingrida. It is a pleasure to meet you. Let me know if there is anything else I can help you with. Good luck on moving away from the phase of working at a hotel and into Internet Marketing. Great info in this post. I could not agree with you more. My hopes are that more and more women will take actions and start do better themselves and their families. Most women in the workforce are hard workers and are underpaid compared to their males counterpart. But if they were to do an online business and see what opportunities are open to them, I have no doubt in my mind that they can accomplish so much more. You are right in that many women in the working world are underpaid and do not still today get paid the same amount of money for the same type of work as do their male counterparts. It is hopeful that perhaps this could change one day, but in the meantime, I think by starting an online business, a woman would have more control over her finances and her future. Thank you for taking the time to read my article and reply. Please visit again someday. Dear Steph! It is great article! I left my job for baby 5 years ago and I am happy because I have my internet business. It was quite difficult to start from zero but I see here the best development for future in all kinds of business especially for women. You can do what you like and to be free, it is amazing! Of course all of us have some ups and downs. But your words motivate me very nice way! Thank you! I too was a full-time mom for many years and really enjoyed it. My children are both adults now and back then, the Internet was not as popular as it is now and I did not have the options that many people have today which being able to stay home and take care of the kids and start an online business from home. Please feel free to look around and check out other reviews, tutorials and other essentials tools on my website. You forgot one. Women are smarter than men. You made me chuckle with your comment. I am not so sure that women are any smarter than men. There are some dumb women as there are dumb men. Dumb people are everyone as well as smart people and they come in all shapes, sizes and gender. Thank you for stopping by and providing some light-hearted humor to this article. I appreciate that and happy new year Barry! I find it interesting how useful this is to us men, considering the number of us commenting here! It goes to show how equal we really are once external barriers to success are removed. I actually grew up with my mother as the breadwinner and my father earned a side income and maintained the household and did the chores / drove us kids around / did the grocery shopping etc. I’m finding myself more and more attracted to a similar lifestyle, but would still like to be earning a fulltime income so my future wife doesn’t have the sole responsibility of providing for the family. One thing that seems a little difficult in online business is the work / life balance – how are you managing an online business as well as family duties? You are right that once those external barriers to achieving success are removed, men and women are much alike in the reasons for wanting to build an online business. More and more I am seeing children who are growing up in a family where the mother is the sole breadwinner and the father has a little hobby or side job but takes care of the children, the housework, chores, driving kids around, and all that you suggested. There does indeed seem to be a trend for that lifestyle more and more. You are so right about the balancing of online business to work and life and managing family matters. I think for many women who have an online business the biggest challenge is that because we are physically home, many people think it is okay to interrupt us when we are trying to work on the computer. People are okay with just dropping by and wanting to go out to lunch with them or where ever. My mother still wants me to either do the grocery shopping or at least to go with her to help with groceries and plus I do ALL of the cooking in our household too. Not to mention, I might be frequently interrupted because a member of my family wants to talk about what was on the news that morning. One of my future articles I plan on writing is setting up some boundaries with family and friends and let them to not to disturb me during certain hours and right now, this is definitely an issue. So, for me that is the real challenge. Thank you for your comment and I hope to see you again. Wow your post is well researched on and very much detailed in the best way. I must say making money online or starting a business online can sometimes be not very easy if one do not know how to go about it…but you give some of the best reasons to make women start online business. Reasons that are legit and very convincing. Your post is going to help a lot of women out there. Thank you for the kind remark regarding this article. I am certainly hoping that this article provides some insight and helps not just women, but men too, because men can benefit from it as well. I know the pay gap is supposed to be gone but we all know it’s still there in the corporate world so owning and running your own business is the very best way for women to set their own incomes according to their efforts…….and what better way to do that than to create an online business in association with Wealthy Affiliate. Good luck Steph and to all of those women reading this article who then decide to take the plunge……they’ll never regret it. Thank you for the awesome comment. As you said, the pay gap is definitely still there within the traditional corporate careers. Working online will provide women with the opportunity to excel. 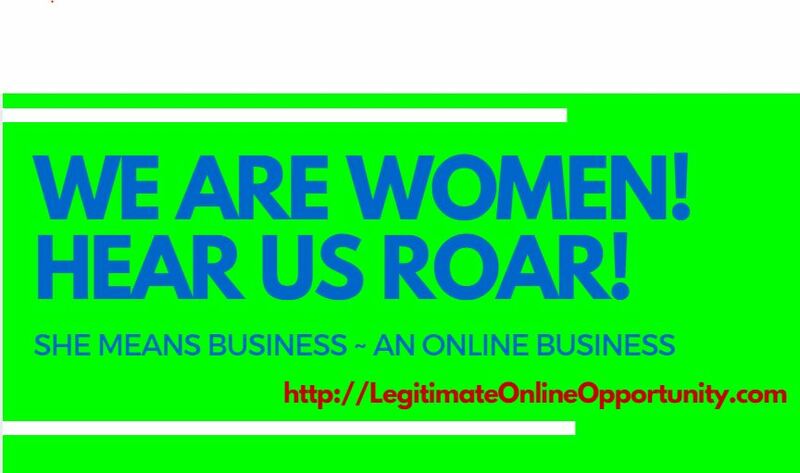 Any women who wants to get started building a business online will have the resources they need within Wealthy Affiliate. Thank you for reading my article on the 10 reasons for women to start an online business. I like the first reason too and I think it is one of the key reasons for a woman or man to start an online business. Very informative article! You make several good points! I wish I had known about internet businesses when my children were little! I am glad you found the article informative and liked the points that I made. I think even if you no longer have small children, there are still excellent reasons to start an online business. If you are retired and find that you need extra money, that too is an excellent reason to start an online business. My point being that it is never too late. What a very nicely written and outlined post. I gave me even more more good reasons for women to start an online business. I’m inspired now more than ever to start an online business and career. For “me” Thank you for such a wonderful post. Thank you for reading my article today. I am very glad it inspired you more than ever to star an online business. Please let me know if I can help you in anyway. Really great article you wrote there! The last part is so true! For both women and men. You should never start bigs projects for someone else. Always motivate yourself with your own ambitions and not because someone told you to do it or thinks it will be good for you. Thank you for visiting my website today. I am glad you enjoyed the article. And yes, I think the last part is probably one of the most critical take away messages from this article. You should only start an online business if you know that is what YOU want and not what your mother-in-law or spouse wants you to do. Thank you for another great article of yours, I like it a lot sincerely 😉 . 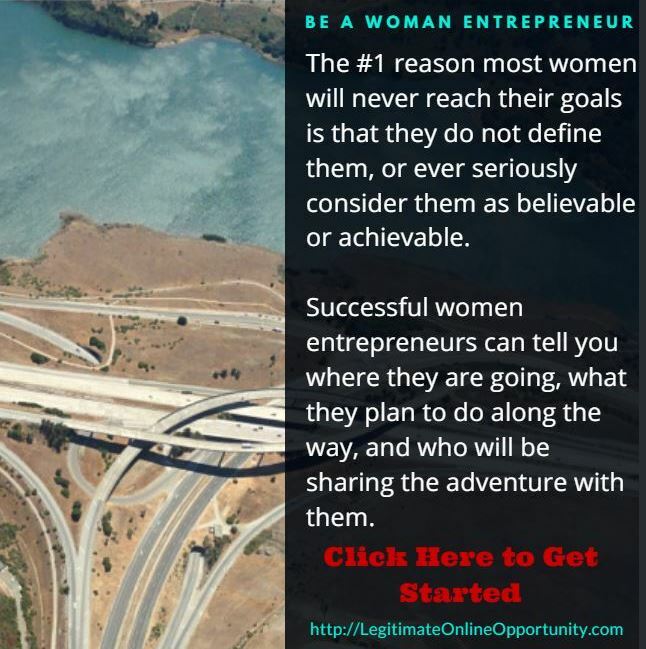 I totally agree with the 10 reasons for women to start an online business. There is just so much to gain when we women work on our own on the internet, at least so much more that working for an employer or having offline businesses. It is not just the benefit of the profits but also the independence, self-confidence, freedom of time and space, and many more pluses. Also, we can actually take care of ourselves and the things and people that really matter the most to us like our children, parents, spouse, friends and anyone close to our hearts. Essentially, working on our own does have only positive impact in all aspects of our life. Thank you for bringing awareness, and for reminding us women of the great things we can implement to gain long-lasting finacial stability and a happier life for us and our families. Thank you again and have a great week. I am glad you enjoyed the article and you had contributed even more great reasons for women to build her own online business such as freedom of time and space. You are free to explore your own talents and strengths and share your passions with others. I like how you said there is so much to gain when us women work on our own. Working on our own does have positive impacts on all aspects of our lives. But I do wish to warn everyone that it will take time before you start to see a profit and that is the same for a brick-and-mortar business, but the difference being with a brick-and-mortar you also have to pay rent, stock your shelves with inventory, pay for postage to send out flyers and mailers advertising your business, employees’ salaries, etc. And that is before you begin to see a dime. You do not have any of those additional expenses with an online business. You are so right, about everything! Once our kids were all grown, I knew I wanted to make a little extra money. I did NOT, however, want to leave my home to do it. There are more reasons now than ever for a woman to start a home based business. Working for myself allows me a flexible schedule to still monitor and manage our home while also building my dream. Thank you for reading my article. I appreciate you taking the time to check it out. I think it is a great time for any women, single or married, to start her own business, because you do still want to be at home to manage everything all the while working for yourself and not helping someone else reach their dreams. I am glad you enjoyed it. Have a great day! As a man reading your article, I could still identify with most of your reasons for starting an online business: determining my own hours, saving money, reducing stress, tax benefits, and more. Another side to consider are the costs of starting an online business, such as no guarantee of income at the beginning and long hours spent developing a site, attracting clientele, and slowly building income. How long would you estimate it takes to build a business that will pay what you’d make at a typical 40 hr/wk job? Thanks for visiting my website today. I am glad you were still able to relate to my article, because yes, many of the same reasons for a woman to build her own business does apply to men too. That is definitely the case. In answer to your awesome question about how long it takes to start making money after getting your website built and running and getting traffic through SEO, it all depends on you. There are right ways and there are wrong ways. On this website I have written some reviews from well known scams such as Excel Cash Flow as well as reviews on legitimate online opportunities. In order to succeed, you really need the proper training and the support of a massive community of like-minded individuals. This is not something that you can really do on your own. If anyone could become a millionaire over night on their own then everyone would do it. It takes time and it takes perseverance. Any company that tells you can become rich overnight is most likely a complete scam. Affiliate marketing and web design take time to learn just as with any skill, but if you have a dream and really want to make it come true, you put in the necessary time, even if you do it part time to start with while keeping a full time traditional 9 to 5 job. If you want to learn more about how to build an online business, be sure to check out my #1 recommendation, because the nice thing is you can join for free and I do not know any program like it in which you can do that. I hope I have answered your question as best I possibly could. Please come back and visit again.